Get these out of your medicine cabinet. If you or someone you know is taking Bi Yan Pian, please read this bulletin from Health Canada about excessive amounts of mercury in this particular brand of pills. I found out first-hand about the side effects, and they weren’t pretty. I am absolutely not an expert of herbal medicine and profess to have absolutely no knowledge of how good this brand is or how applicable the pills may be for anyone’s specific situation. 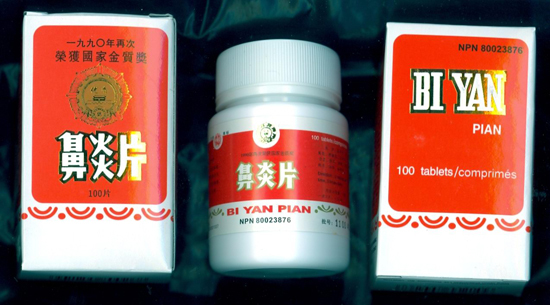 That being said, if you are looking for Bi Yan Pian, a blog by Washington D.C. acupuncturist Jeremy Riesenfeld recommends the following brand of Bi Yan Pian instead.